April 3, 2013 / P.J. 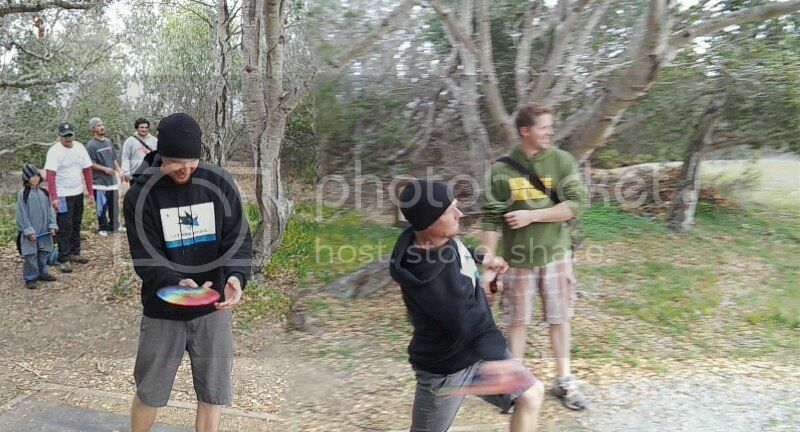 If you frequent online enclaves such as the the Disc Golf Collector Exchange group on Facebook, or the similar forum pages on Disc Golf Course Review, the acronym O-O-P may be well known to you. It stands for out-of-production, which refers to discs no longer being produced by their manufacturer. This, of course, is significant to collectors because it means a disc is in limited supply and, therefore, of potentially higher value. Having played disc golf for more than 20 years, I own close to 100 discs, not including the stock I have on hand for use in my School of Disc Golf. But I would not consider myself a collector. Possibly a bit of a historian, and, more than anything else, an accumulator. But as collectors are thought of as those who like to build a collection either as a hobby or for profit, I can safely say that isn’t me. 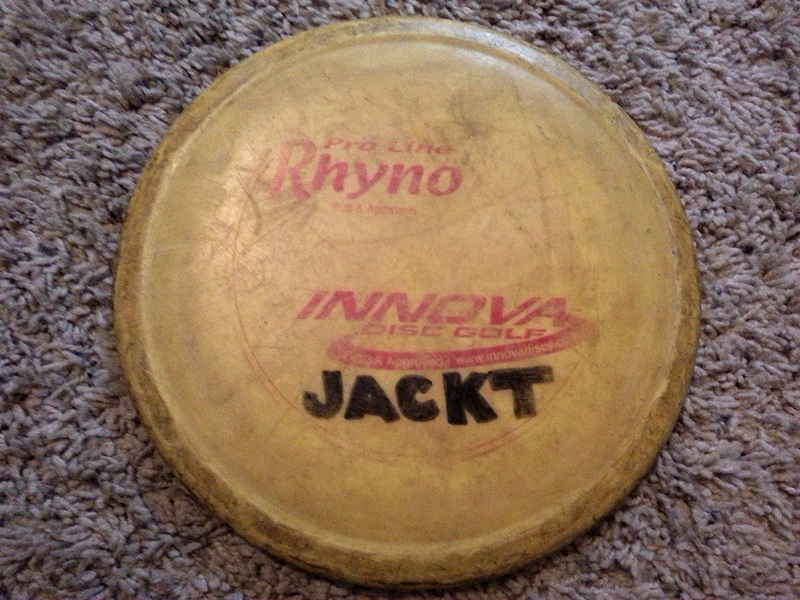 I have some discs that would go for much more than their original sales price if I ever decided to sell them, but all the discs in my possession that I value the most are dear to me for one of two reasons — either I have a sentimental attachment to them – like my first ace disc or a prototype signed and given to me by Steady Ed Headrick; or they are out of production and I still use them to play. It’s the second reason that is the main subject of today’s post. Irreplaceable actually retains its literal definition when the object that is difficult or impossible to replace is actually serving a function rather than just gathering dust (in it’s dust cover, of course). The mere thought of losing a key disc in your bag and not being able to replace it can cause little beads of sweat to form on one’s forehead — am I right? In my bag right now, along with an Obex, Trak, Lace, Blizzard Ape, Blizzard Destroyer, ESP Nuke, Pig and two Aviars, are no fewer than four such discs. Every time one of those gems flies out of my sight, I feel like a father whose teenage daughter is out on a date. (Okay, as a father with actual daughters I admit that’s an exaggeration, but still!) These are discs that if lost or broken would leave a big hole in my life, er, I mean my bag. First there is my gummy Champion Beast. It is a pre-Barry Schultz mold that flies very straight and is great for low, flat S-shots. And the material is virtually indestructible (I have a theory that Innova stopped using it because it’s too durable). I stocked up a bit on these so I’m prepared should it ever get lost, but still, O-O-P.
Next is my Pro-Line Rhyno, very soft and grippy, yet firm for throwing. I’m sure I can replace it if I have to, but I’ve checked on eBay where I actually bought this one, after losing its predecessors, and the price is going O-O-P up. Next is a disc that is a perfect mid-range for me as a straight flyer, which can also hold a turnover line forever — my yellow Champion Cobra. 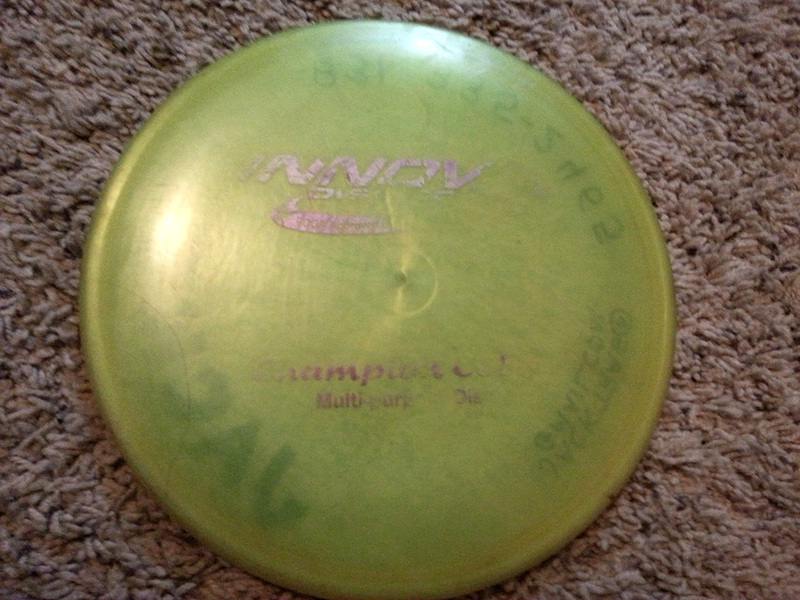 This disc doesn’t say ‘First Run’ on the stamp, but I think Innova only made these in this mold for a short time. It’s very different from both the original Cobra and the ones being made now, with a completely flat top and decidedly mid-range nose profile. I have one other one (in purple), but it doesn’t fly quite the same. Whenever this disc isn’t exactly where I expect it to be, my heart rate rises steadily until it’s safely in my bag once again. 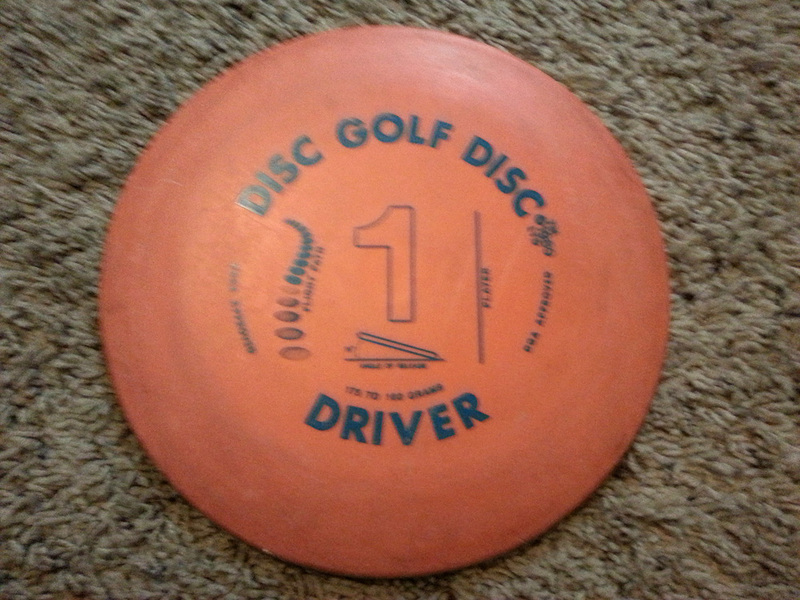 Finally, there is the great-grandfather of my bag, a 173-gram DGA Disc Golf Disc Distance Driver, made in 1989. This baby has both practical and sentimental value. It’s my go-to finesse roller with no conceivable replacement waiting in the wings. And being a virtual antique made when there was no other plastic other than what is now known as DX (Innova’s designation for the lowest grade), I cringe whenever it so much as heads for a tree. I originally purchased four of them from Steady Ed himself, at the DGA factory, but the other three have all died the deaths of brave warriors. There is virtually no chance of replacing this disc, and every time I get it to roll perfectly on my second throw on hole 13 at DeLaveaga, it’s like watching one of those vintage World War I planes zoom across the sky. There is a sense of watching history unfold before your eyes, but also a nervousness around the fragility and irreplaceable nature of that disc in particular. Discs are meant to fly (and roll), though, and I’ll keep using it as long as I can. By the way, a quick side-note about this disc — when I bought it in 1998 it was already out of production. Those who knew Steady Ed will appreciate the fact that he charged me $20 for each of them. So my questions for you are, do you have O-O-P discs in your bag? What are they? Are you a collector who has rare discs that you’d like to throw but don’t want to reduce their value as collectibles? Let us know in the comments below. I’m sure we’re all interested to hear the range of opinions on this one, and I personally love hearing about other antique discs that are still out there producing, even if they are officially out of production. I also have a 11x KC Pro Gazelle that I actually found on my local course and was never able to return to a rightful owner. The stamp is so worn off I didn’t even know that I had rare OOP plastic on my hands and have played with it frequently until I realized what I had last week. Might sell it, might keep it. in my bag, depending on the course played are a few OOP/rare discs. They are, Discraft LE elite x Wasp, Bar Stamp Z Buzzz, Champion Cobra ( I lost this disc last fall and was very very bummed. A week later I got a call that it was found and it was mailed back to me, nice! ), Pro Line Rhynno and Classic Roc in Pro plastic. Would hate to loose any of these but they serve a purpose in certain situations on the DG course. I suppose one can always find a replacement on Ebay should you be willing to pay the price. As I find similar flying plastic I may opt to retire one or two of the previously mentioned. For now, like you, when it leaves my hand I make absolutely sure I know where that disc went….. I had, until recently, a red, champion plastic, cobra. Like the yellow one you described, it was flat topped. Cobra has been my favorite disc since I first threw one. Now lost, I dread trying to find and pay for another one. I am trying the new champion “super stingray” which is supposed to fly similar. I have only had it out once, but I am hoping that it will work (after I break it’s fear of landing in the chains). I have a champion classic roc in my bag and two more reserves that are a bit lighter. Looking for more backups but I am reluctant to spend the money. I also have 2 11x CAL teebirds , one I just got from ebay and another pretty beat one. I am looking for more backups to these. 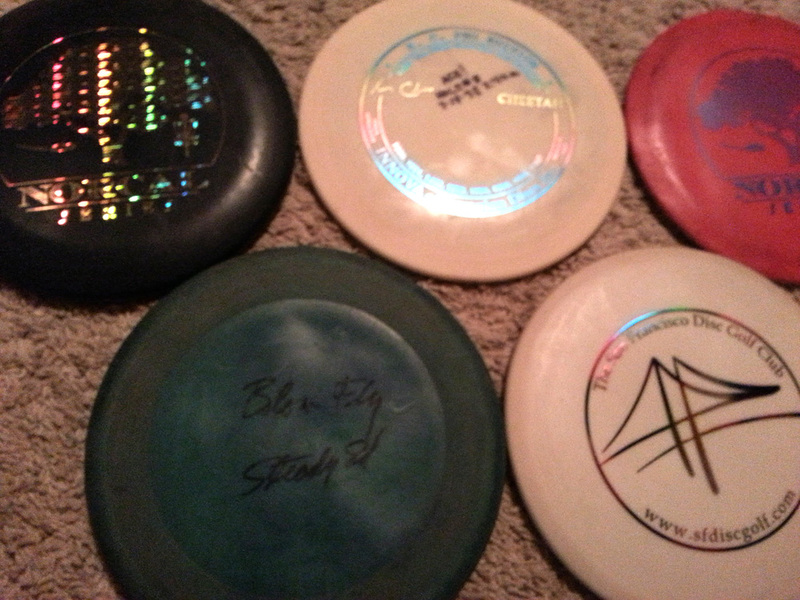 The classic roc, beat teebird, and a dx roc are the oldest discs in my bag. I have been looking for alternative discs that are cheaper options to these but haven’t had much luck. I have thousands of Discs that are OOP but those are all part of my massive Disc Golf Collection. I rarely throw anything that I can’t readily replace or if it something that is OOP that I always throw, I make sure that I got plenty of backups to last me the next decade or so! I have a pro line beast that I use for straight/turnover forehand shots, and I also have a handful of bar stamp DX Valkyries. But my favorite O.O.P disc is my 1991 San Marino DX Glow Cobra from the Circular Skies Series. The only OOP discs I carry right now are a gummy pre-barry beast and a pro pig. Come summer I plan on cycling in a CE firebird and valk. I also just purchased a Mint 2001 CE Roc, but you’d be lucky to even get me to take it out of its bag :). I throw the same Champ Cobra as you, even though I only have one back up. I throw the same Champ Gummy Beast, bought it for $8! I throw OOP original mold Ontario Roc’s(5 backups), 11x Rocs stiff dimple top mold (24 back ups), 2006 USDGC Baby Roc’s (4 backups) 2003 TL’s (6 backups), 11x KC Pro Teebird’s (20 backups…Yeah 20) Pop Top S/DS’s (16 back ups). 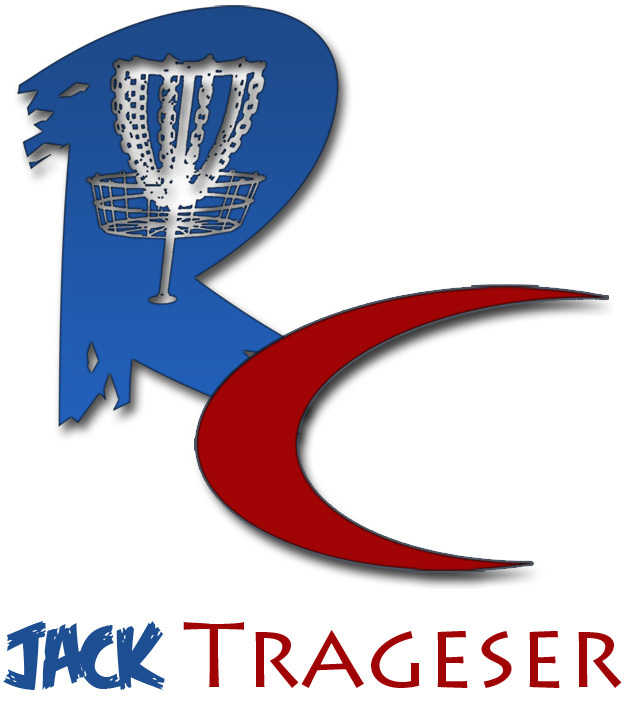 I have roughly 40 USDGC Champion Rocs, and that used to be what i collected, but i have lost all desire to collect, so they have been slowly making their way to the trading forums for discs i like to throw. I have probably 150 discs that are in my reserve box….most are just dupes of stuff I already have. I love me some FLX Challengers, FLX and Ti Buzzes, Bosses & Destroyers of any flavor. Those are all still being made although recently the numbers on the Boss has changed. Luckily I like the “new Boss” mold even better. I have ONE firebird that is more domed that is no longer being made. It is the only disc I’ve aced a hole with (during a round) and honestly I don’t throw it a whole lot unless I’m looking for a low hard left skip. Overall I’d say that if I lost one of my main 22 that I throw….sure there may be an adjustment period. I would say my 166 star destroyer would likely be hardest to replace because it is worn well and throws way different than a new one. 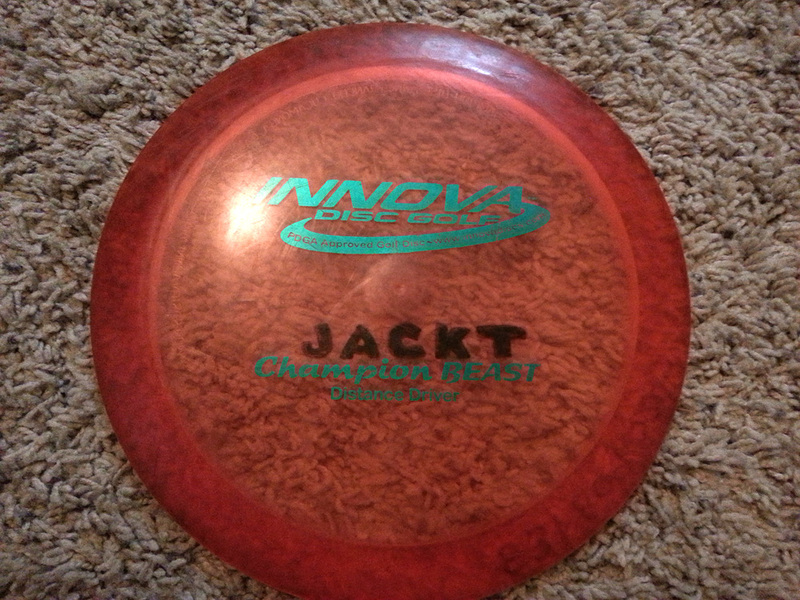 I have an Innova champion stingray (multi-purpose). I was wondering if anyone knew if this was a rare disc? If so I would like to know. Thanks. Tyler, likely not, but you can join he Disc Golf Collectors Network page on Facebook and ask. One of those collector nuts will know, once you post a picture.